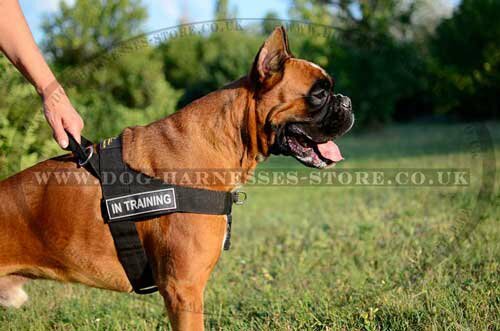 Does an ideal harness for your German Boxer exist? 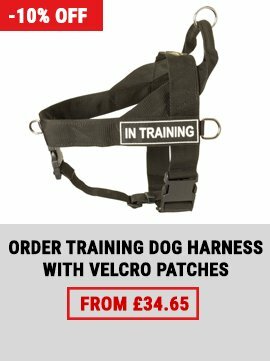 Is it possible to find the harness that will be suitable for walking, training, sport, pulling, various physical exercises and for work? It beggars belief but the harness of your dream is real! You are looking at it just now! 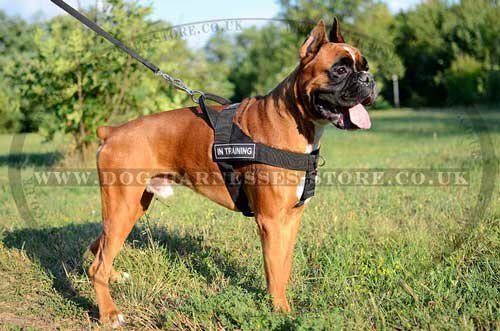 The most functional, comfortable and reliable German Boxer harness is here! This Boxer harness is of nylon because it's lightweight, super strong, all-weather, easy to clean and wash. 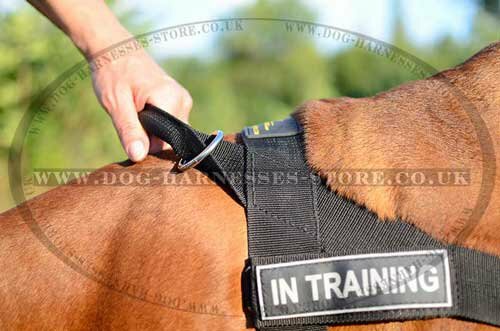 There are removable ID patches on Velcro. 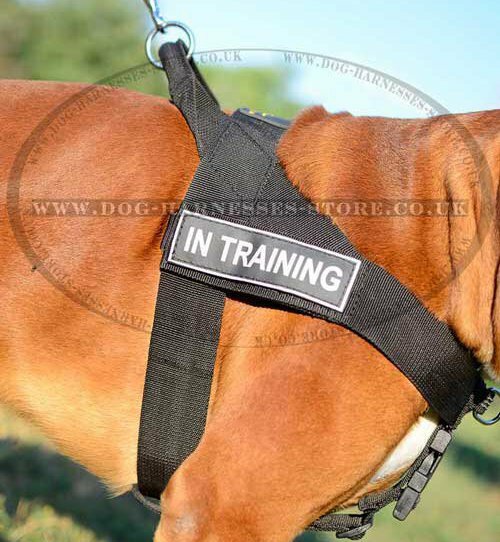 Choose the patches you need to identify your Boxer. 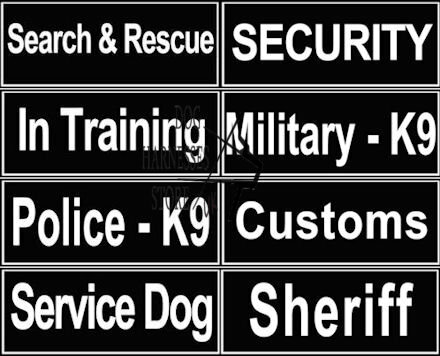 One set of patches is included for FREE with your order. 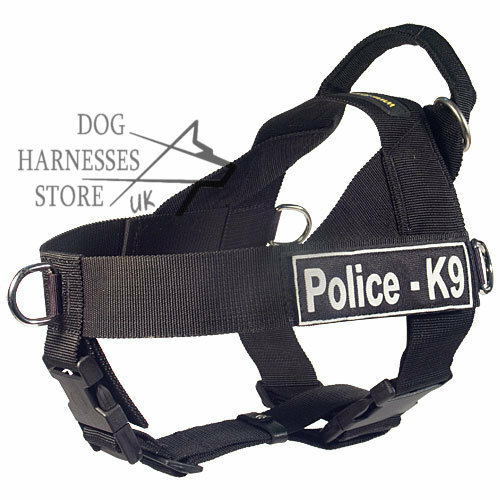 The harness is equipped with 4 welded nickel-plated rings. Two side rings are for pulling work. 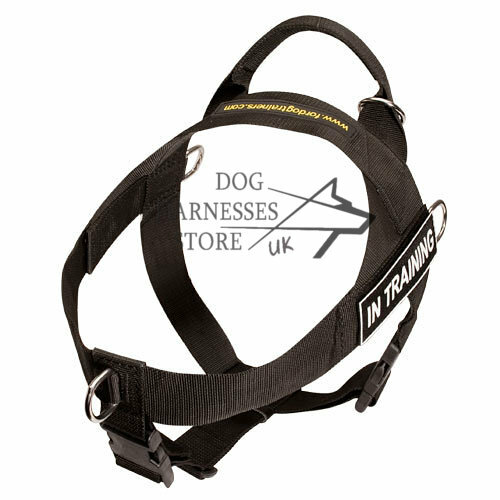 Upper ring is for lead fastening. 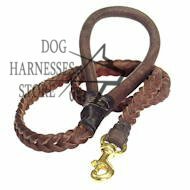 Front ring is also for dog leash, it is intended to stop pulling. 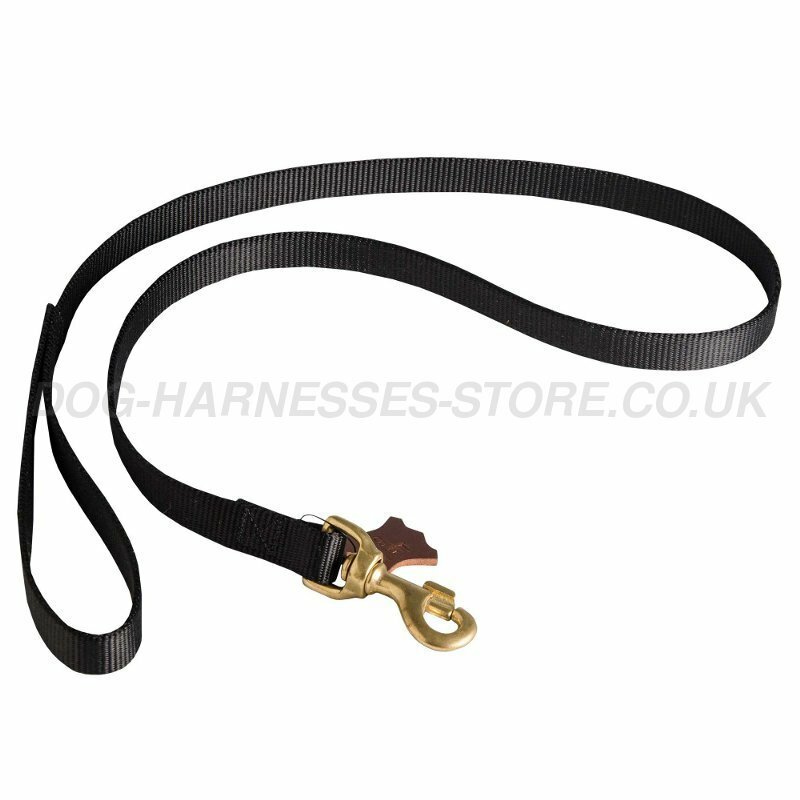 Reliable quick-release plastic buckle helps to put the harness on and to take it off very easily. 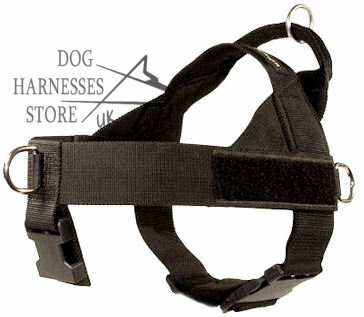 This nylon dog harness has also under belly strap, which adds functionality during pulling activities. 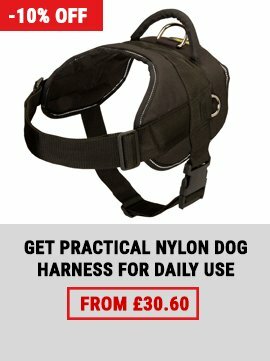 You can always remove this strap if there is no need to use it. 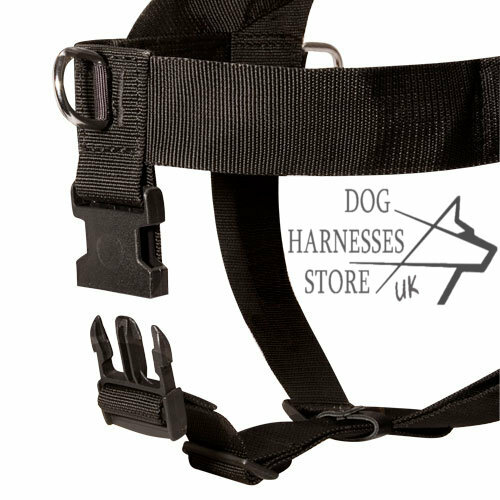 Upper handle gives you more control over your Boxer. 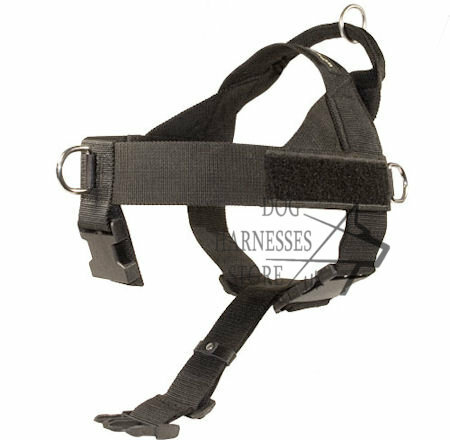 As you see, every detail in this nylon dog harness is designed for your dog's and yours convenience and comfort! 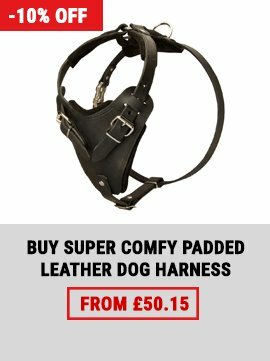 I need to make two ratings for this product. 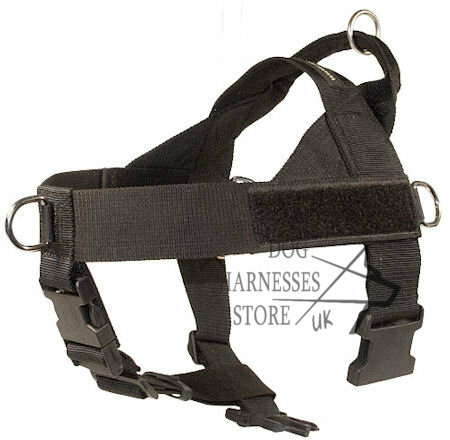 The harness itself is amazing. Absolutely love it. 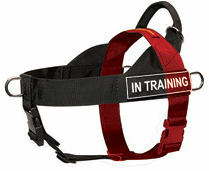 I have a 125lb Cane Corso who is unable to pull when his leash is attached to the front of this product.